Greetings y’all from Nashville Tennessee!! I’m just back from the Manager’s Reception which was held at the famous Wildhorse Saloon. We were treated to an amazing southern feast of pulled pork! I can’t get enough of that stuff – I want to eat it night and day while I’m here, cause you can’t find that smokey goodness at home!! Want to see my swap cards I brought with me? I think yes – I’m going to assume that that is why you are here! How cute is that!!! 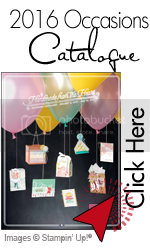 Have you seen this wonderfully fun set in the Occasions Mini Catalogue called, Create A Cupcake with matching punch, Build a Cupcake? It’s so fun! It’s punched from the red glimmer paper found in the same mini catalogue – how easy is that!!! 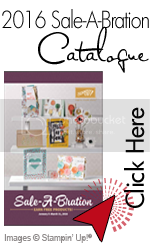 I’d love to make this card at a Stampin’Up! workshop, so check your calendars for a workshop date so we can make a whole bunch more of these little cuties!